Stephen E. Kaufman attended medical school at the University of Minnesota. He completed his internship and residency at UCLA and his fellowship in gastroenterology at the Medical Center of Vermont. 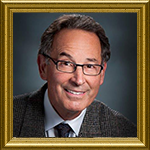 He is board certified in internal medicine as well as gastroenterology. Dr. Kaufman is the Chief of Gastroenterology at Holy Redeemer Hospital. He is a fellow of the American College of Physicians, the American College of Gastroenterology, and the American Gastroenterological Association.